Sonic will be offering all shakes and ice cream slushes on the menu for half the normal price all day on Thursday, May 25, 2017 at participating locations. The 50 percent discount matches their summertime "after 8 PM" deal but is available during the warmer parts of the day. 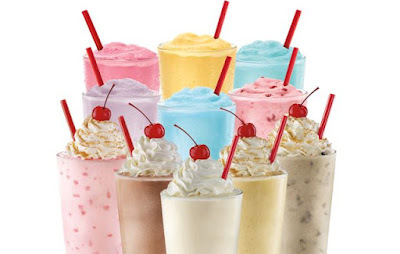 There's a limit of five shakes and/or slushes for the special, while supplies last.